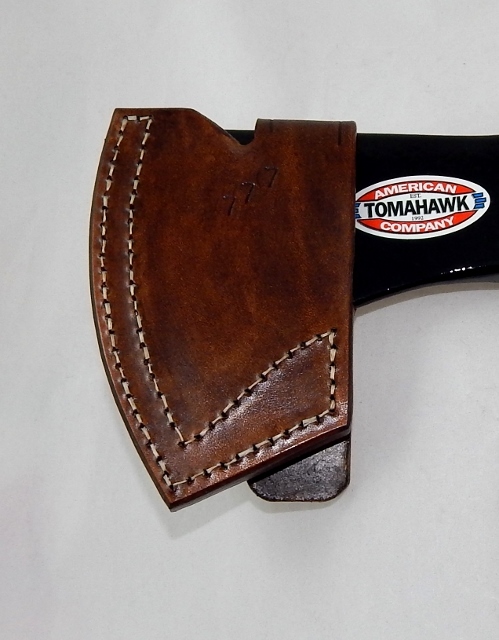 This quality leather sheath was made specifically to fit the Cold Steel Rifleman tomahawk axe. 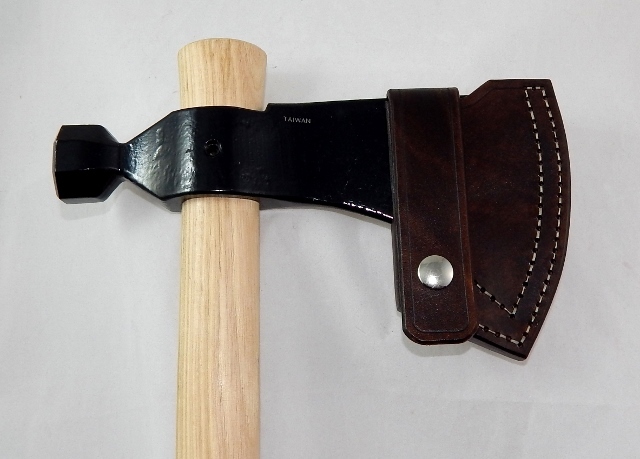 The tomahawk itself is NOT included in this listing. 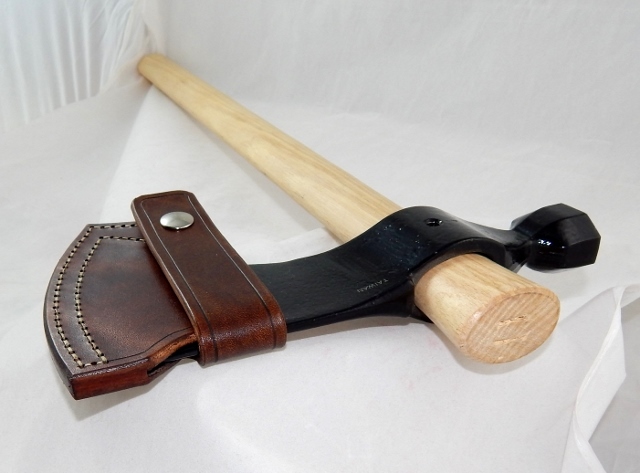 It is pictured only to show how well the sheath fits. The leather was cut, glued, stitched with heavy duty bonded nylon thread, dyed (stained), and given a protective finish all by hand. It fits the Rifleman like a glove. Extra wide welt is secured with a double row of hand stitching or a single row of stitching combined with 2 copper rivets. A heavy duty line 24 snap is used for closure. 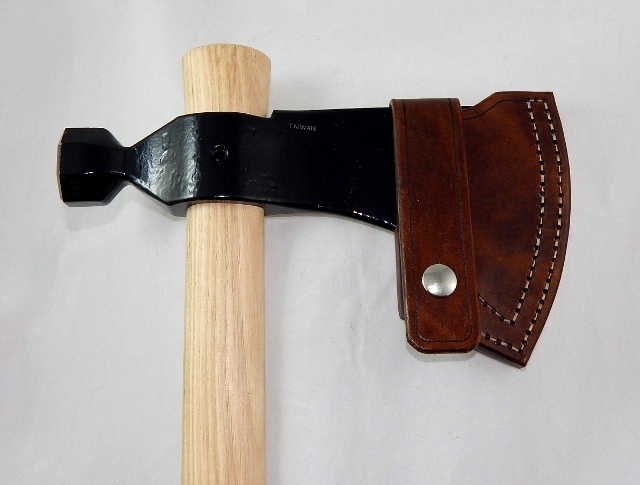 The back side of the snap is secured against the welt, not against your blade. 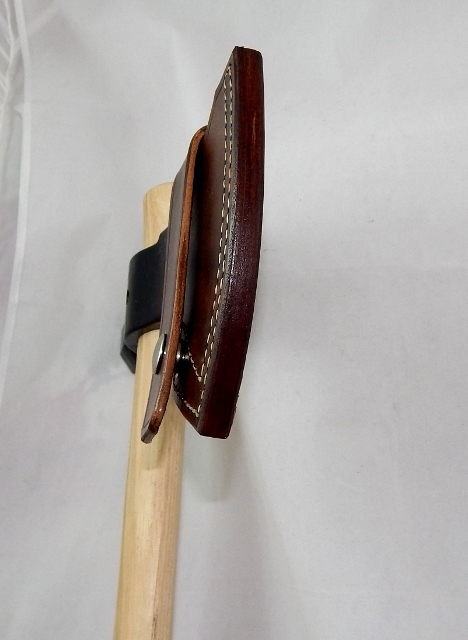 This requires more leather, but we feel it is worth it so you don't have to worry about the metal snap back marring your blade finish. 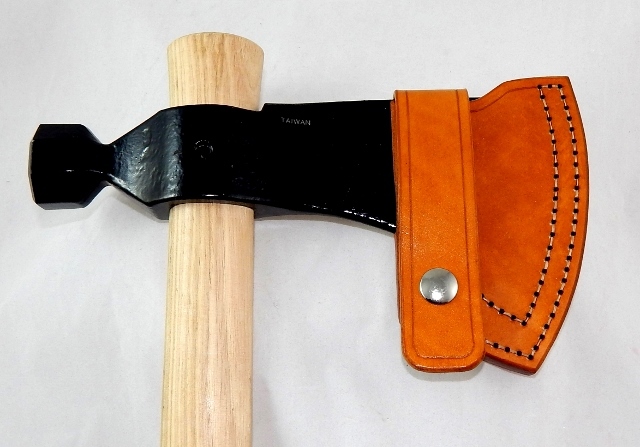 This sheath is durable and built to last.